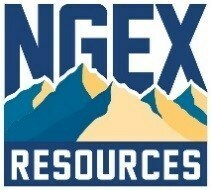 NGEx Announces Concurrent Brokered and Non-brokered Private Placements for Aggregate Gross Proceeds of up to Cdn $20 Million | NGEx Resources Inc.
VANCOUVER, Jan. 15, 2019 /CNW/ - NGEx Resources Inc. ("NGEx" or the "Company") (TSX:NGQ)(NASDAQ OMX:NGQ), is pleased to announce that it has entered into an agreement with National Bank Financial Inc. and Cormark Securities Inc. (the "Agents"), pursuant to which the Agents have agreed to sell on a "reasonable best efforts" private placement basis, an aggregate of up to 10 million common shares (the "Common Shares") at a price of Cdn $1.00 per Common Share for aggregate gross proceeds of up to Cdn $10 million (the "Offering"). In addition, the Company will grant the Agents an option (the "Agents' Option") to increase the size of the Offering by up to 30%. The Agents' Option will be exercisable in whole or in part up to 48 hours prior to the closing date of the Offering. Please view PDF version of News Release. The Company has agreed to pay the Agents a cash commission of 5% of the gross proceeds raised under the Offering. Concurrent with completion of the Offering, the Company is arranging to complete a non-brokered private placement of up to an additional 10 million Common Shares at a price of Cdn $1.00 per Common Share for aggregate gross proceeds of up to Cdn $10 million (the "Non-Brokered Offering"). Completion of the Offering and the Non-Brokered Offering is expected to occur on or about January 31, 2019 and is subject to receipt of all necessary regulatory approvals, including the approval of the Toronto Stock Exchange, and certain other customary conditions. The Common Shares will be offered by way of prospectus exemptions in Canada and the Common Shares sold in the Offering and the Non-Brokered Offering will be subject to a hold period of four months plus one day under applicable securities laws in Canada. Common Shares may also be sold under the Offering in the United States pursuant to exemptions from the registration requirements It is anticipated that two shareholders who are currently insiders of the Company intend to complete a share swap whereby such insider shareholders will sell Common Shares from their holdings and intend to subscribe for a corresponding number of Common Shares under the Non-Brokered Offering. A 5% finders' fee may be payable on a portion of the Non-Brokered Offering (other than that portion of the Non-Brokered Offering subscribed for by insider shareholders). The Company plans to use the net proceeds of the Offering and the Non-Brokered Offering towards ongoing work programs in Argentina and Chile, including completing a feasibility study on the Josemaria Project, engineering and exploration studies on the Company's other projects, repayment of existing balance owing on the Company's US$5 million Debenture, and for general corporate purposes. This information is information that NGEx Resources Inc. is obliged to make public pursuant to the EU Market Abuse Regulation. The information was submitted for publication, through the agency of the contact person set out below, on January 15, 2019 at 5:45 am Pacific Time. Certain statements made and information contained herein in the news release constitutes "forward-looking information" and "forward-looking statements" within the meaning of applicable securities legislation (collectively, "forward-looking information"). The forward-looking information contained in this news release is based on information available to the Company as of the date of this news release. Except as required under applicable securities legislation, the Company does not intend, and does not assume any obligation, to update this forward-looking information. Generally, this forward-looking information can frequently, but not always, be identified by use of forward-looking terminology such as "plans", "expects" or "does not expect", "is expected", "budget", "scheduled", "estimates", "forecasts", "intends", "anticipates" or "does not anticipate", or "believes", or variations of such words and phrases or statements that certain actions, events, conditions or results "will", "may", "could", "would", "might" or "will be taken", "occur" or "be achieved" or the negative connotations thereof. All statements other than statements of historical fact may be forward-looking statements. In particular, this news release contains forward-looking statements with respect to the closing of the Offering and the Non-Brokered Offering, the insider participation in the Non-Brokered Offering, the use of proceeds from the Offering and the Non-Brokered Offering, and other risks and uncertainties. Forward-looking information is necessarily based on estimates and assumptions that are inherently subject to known and unknown risks, uncertainties and other factors that may cause the actual results, level of activity, performance or achievements of the Company to be materially different from those expressed or implied by such forward-looking information, including but not limited to: risks and uncertainties relating to, among other things, failure to receive required approvals, the possibility that investors will not subscribe for the Offering or the Non-Brokered Offering and the risk that closing conditions may not be satisfied, as well as other risks and uncertainties more fully described under "Risks Factors" in the Company's most recent Annual Information Form and other disclosure documents which available under the Company's profile at www.sedar.com and the Company's website.